OGS service techs are on hand around-the-clock for those times when you need them. Our 24-hour support line gives our clients instant access to our service techs by phone. If on-site support is necessary, they can provide that too. Our exceptional support services can be purchased individually or as part of one of our support contracts. The contracts feature our essential services and preventive maintenance services at discount rates. OGS support contracts are geared to solve problems before they cost additional time and money. 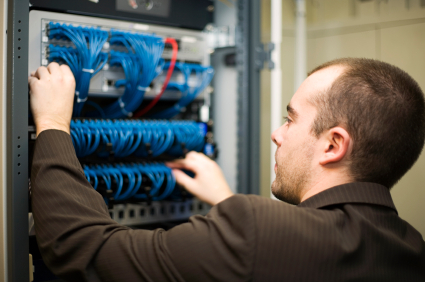 Our support contracts make it easy for our clients to budget for their technology needs. Our contracts are very flexible and affordable to meet all our clients needs. Contact us for pricing and information about our support services. Successful industries rely on their satellite offices to coordinate communications spanning time zones coast to coast. If your business model incorporates this system in serving your customer base, as do many of our present accounts, you’d be wise to have an all encompassing IT security blanket available. OGS offers the entire spectrum of integrated digital maintenance services in 48 contiguous states. Global marketing strategies should not be limited to the few multinational companies whose reach spans entire continents. Designing, implementing and augmenting satellite offices may be in your future. OGS Technology makes this possible for nearly any business investing in expansion across state lines or coast to coast. Being at the forefront of the IT industry means never having to look back.